I did want to write yesterday on the applications to intervene, but after discussing with Lecretia, I decided I would wait until after midnight in Gallipoli. Anzac Day is an important day to Lecretia, as it is the day above all others where we remember the sacrifices our countrymen made for our modern freedoms. Unfortunately Lecretia wasn’t well enough to attend a Dawn Service, but we spent the day listening to and watching broadcasts that told the stories of some of the greatest New Zealanders that ever lived. 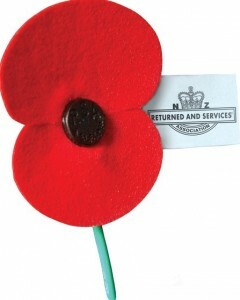 Anzac Day belongs to them. I hope Lecretia doesn’t mind me telling this story, and I hope it isn’t gauche to tell it this weekend, but Lecretia made her own small contribution to the welfare of our veterans and their families. As the lead legal and policy advisor on the Review of the War Pensions Act 1954, she was part of a team, led by Sir Geoffrey Palmer, that travelled up and down the country consulting with hundreds of veterans between 2008 and 2010, developing recommendations on a modern welfare scheme for our returned servicemen. The report was completed May 2010 and submitted to government shortly thereafter. You can find Lecretia’s contribution acknowledged in the foreword penned by Sir Geoffrey, the Commissioner responsible for the report. The Review of the War Pensions Act 1954 was the last law reform project Lecretia saw through to completion before she received her cancer diagnosis in early 2011. The report was largely successful with the government implementing 132 of the Law Commission’s 170 recommendations in the Veteran Support Bill. The Veterans’ Support Act 2014 recently came into effect, adding $60m of funding over five years to implement the recommended changes, which included a range of additional benefits and support for our country’s heroes. The first changes came into effect July last year, with the rest of the changes coming into effect July 2015. The scope of the changes that the government implemented were not as generous as the Law Commission had proposed, possibly due to the timing of the report and the contemporaneousness of the Global Financial Crisis, but they were still significant, and the law was successfully modernised. On a weekend of remembrance, it is tempting to reminisce, but we have plenty of present day news to share. 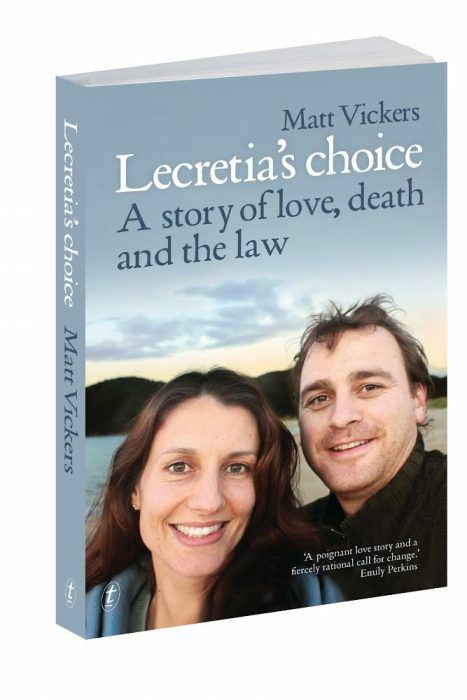 Over the last two days we found out that the Care Alliance, the Voluntary Euthanasia Society and the Human Rights Commission have all successfully applied to intervene in Lecretia’s case. Having had the chance to reflect on the judgment, we’ve come to the view that it’s reasonable. By denying the applicants, some parties may have responded that the hearing is ignoring the voices of vulnerable New Zealanders, or ignoring overseas evidence for or against Lecretia’s case. As it is, they have been admitted, but their participation is so strict and on such specific terms that they can only reasonably respond to Lecretia’s circumstances. The applicants are unlikely to be able to speak in court unless invited to, so Justice Collins should be able to keep things to an unchanged timeline. And the length restrictions on their submissions will force them to exhibit concision and focus. In the event of a ruling in Lecretia’s favour, these parties will not be able to complain that their evidence was ignored and that they didn’t have the opportunity to be heard. Participation is so strict, in fact, that I am beginning to wonder if the reason that the Care Alliance in particular has not released a statement yet is because they can’t figure out whether they regard the judgment as good or bad news. We’re grateful because of the news we received on Friday that Lecretia’s chemotherapy treatment doesn’t look like it’s working. With Lecretia’s emergency department visit last month and her increasing difficulty with movement since her first treatment, the oncologist’s view is that it would be unwise to safely continue chemotherapy, unless Lecretia sees some sort of positive benefit over the next two weeks. He doesn’t expect we’ll see that benefit. The conversation has moved to the topic of palliative care and symptom management. From a New Zealand medicine perspective, this is the end of the line in terms of cancer treatment. The oncologist also indicated that timelines were perhaps shorter than we anticipated, so we are processing that news too. We haven’t given up hope, and are following up the latest leads and clinical trials that might improve Lecretia’s health. Travel would be difficult right now but I think we would still consider it for a promising clinical trial. We are reviewing some favoured options. We’ll let you know how they go if we pursue them. Thank you for sharing once again and for letting us know the positive input that Lecretia had in bringing together changes that passed within the Veteran’s Support Act 2014. Quite a legacy to leave with us. The positivity you both share in the most difficult of times is truly something to be admired and appreciated. Anzac Day is a special time to remember sacrifices, not just for our country but for our community, family and ourselves. Enjoy your time with each other, those little moments and Kia Kaha Lecretia and Matt.